Chanel has released a re-vamped range of sunscreens this spring, which includes a formulation for SPF 20, SPF 30, and SPF 50. 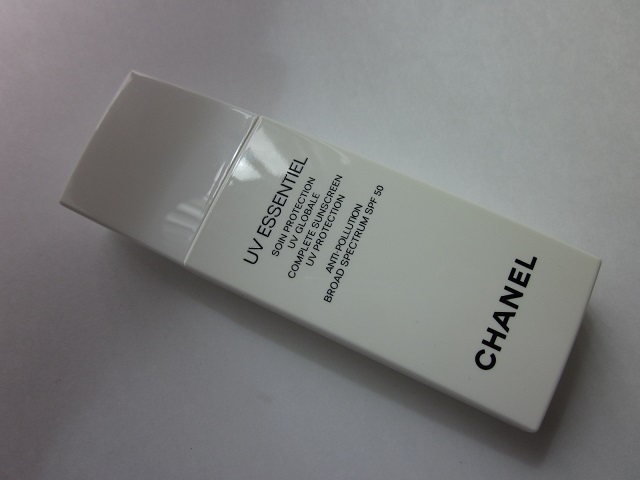 Last year, I reviewed Chanel’s sunscreen but preferred the Shiseido Urban Environment Oil-Free UV Protector For Face SPF 42 PA +++ because it absorbed faster and was water-resistant. 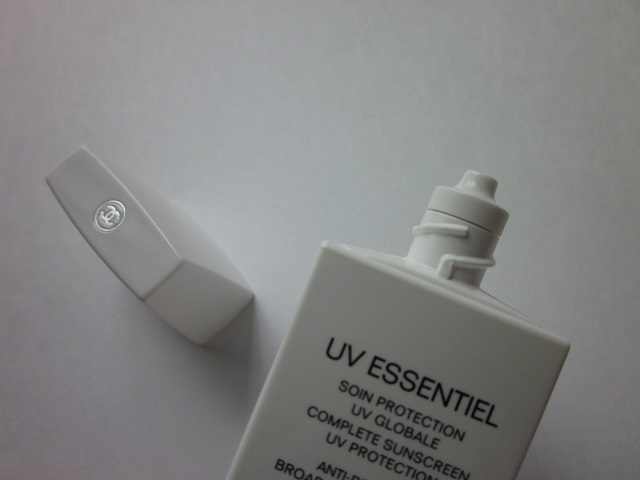 The UV Essentiel Complete Sunscreen Broad Spectrum SPF 50 is what I purchased, and compared to the Essentiel Multi-Protection Daily UV Care SPF 50 from last year, I would say that they’re pretty similar. It’s still the same moisturizing, moderately quick-drying formula; however, the floral scent is more like the Le Blanc skincare range. 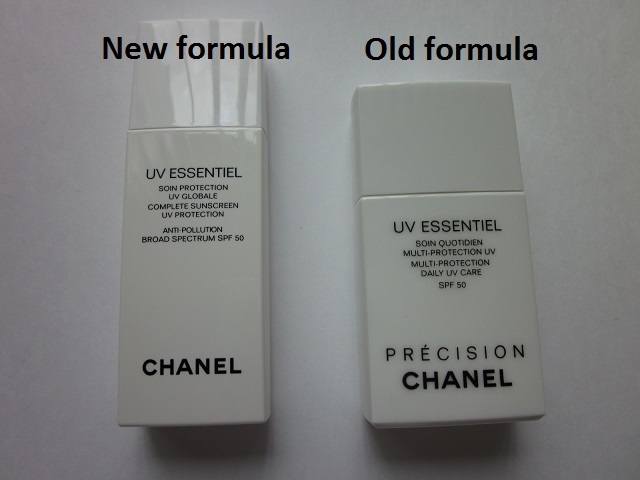 According to the product’s insert, this product is “the fnal daytime skincare step to preserve skin’s beauty all day and all year long.” Chanel claims that this is “the first daily UV shield that effectively protects skin from UV rays, free radicals, and urban pollution damage, while providing skin with unique protection.” The foundation of this product (and the marketing of it) resembles Shiseido’s suncare ranges, so Chanel’s claims are just that — claims. However, it does feel nice knowing that you could be doing something extra for your skin. The three different SPF ranges means that you can pick the one that best suits your lifestyle. Obviously, SPF 50 will provide you with the optimum protection — but, because it doesn’t claim to be waterproof, sweat-proof, or water-resistant like Shiseido, you probably should opt for something else to protect your skin if you’re going to the beach or the pool. This new range of sunscreens feels great and is lightweight; it’s perfect for the face and is ideal for wearing underneath makeup during the day. 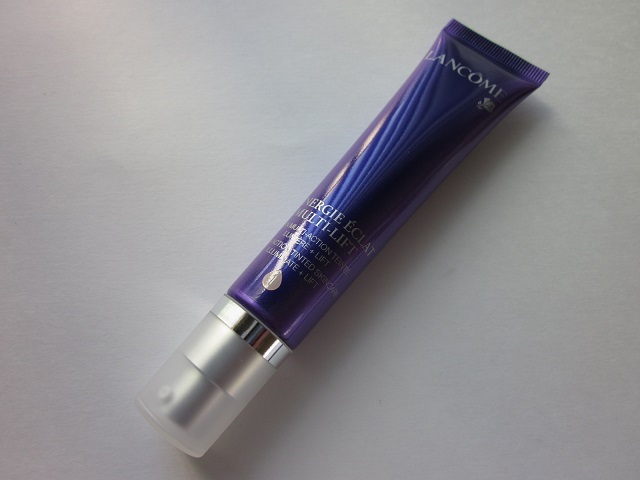 “UV Essentiel guarantees complete and unique UV protection that helps shield skin from photo-aging and hyper-pigmentation. Its UV filters protect against harmful UVA and UVB rays to ensure external protection of the skin, while a unique shielding complex reinforces the skin’s barrier function to provide internal protection.” The “lightweight fluid texture moisturizes the skin” and feels nice and smooth before makeup application. While the texture of the sunscreen isn’t as runny as Shiseido’s, it absorbs nicely (although not instantly) and doesn’t interfere with makeup in any way. All in all, I love it. If you’re looking for a fancy sunscreen, then I would recommend it. However, for a sunscreen, it’s quite expensive — especially since you could go to the drugstore and buy a huge bottle of it for $10 or so. This isn’t an absolute essential in your life, but if you’re picky about sunscreen for the face or you dislike other textures because they’re too thick and greasy, you may want to consider this. Another option (and cheaper alternative) is the Shiseido sunscare range. They, too, offer different ranges of SPF protection; and, also, have created different sun protection formulas for different activities (every day to outdoor-heavy). While I was home for spring break, I stopped by the Tom Ford counter at Neiman Marcus because I was itching to test out the foundation. While I didn’t do any additional research before going, I was disappointed with the small color selection and lack of proper customer service. Nonetheless, I requested a sample of the product because the foundation was expensive and I didn’t like how I couldn’t play with the foundation by myself (like at Sephora or at Ulta). The Tom Ford Traceless Foundation SPF15 in “Pale Dune” had been on my wish list for months. I was matched to the shade “Pale Dune,” which the sales associate transferred for me into a small bottle. This is the 2nd lightest shade with beige-yellow undertones, but I kind of wanted to see what “Alabaster” would’ve looked like on my skin. I didn’t like how the sales associate eye-balled my shade and didn’t really try anything on my skin. When I asked to see “Alabaster,” she said it would be too light and dismissed the request. I took the sample of “Pale Dune” because it was quite obvious that all the other shades after that were super dark. “Pale Dune” is too dark for me but I’ve tried to make this sample work in so many ways. I’ve been wanting to dabble into the Tom Ford beauty range, and starting with the foundation was a bad start because I was disappointed and I wouldn’t recommend it at all. As a foundation and base makeup fanatic, I have high expectations as you all may know. Because of the brand and the price of this product, I had high hopes that this would be like magic. Unfortunately, this shade is about 2 shades too dark for my skin and sat heavily on my face all day. The formula is easy to work with and has a pleasant, herbally scent. 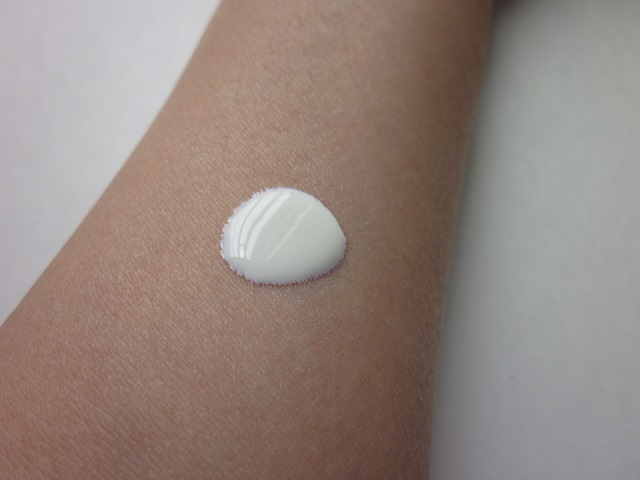 However, the formula is quite thick even though it didn’t provide that much coverage. 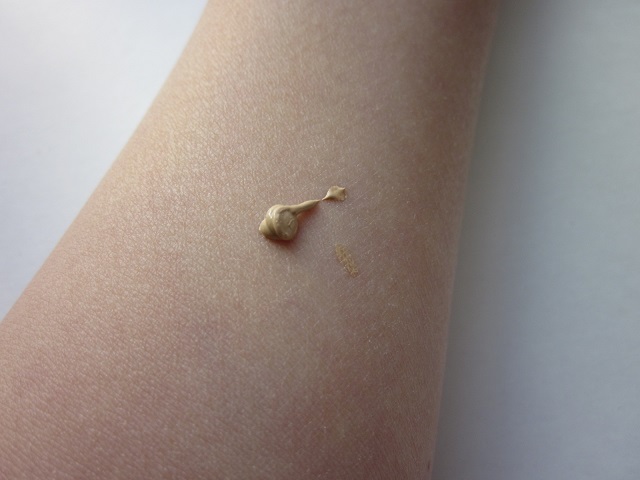 The foundation was luminous but made me really oily; and, even with powder, still made me oily. While we can assume this foundation is packed with skincare ingredients, my complexion didn’t look extra radiant or smooth. 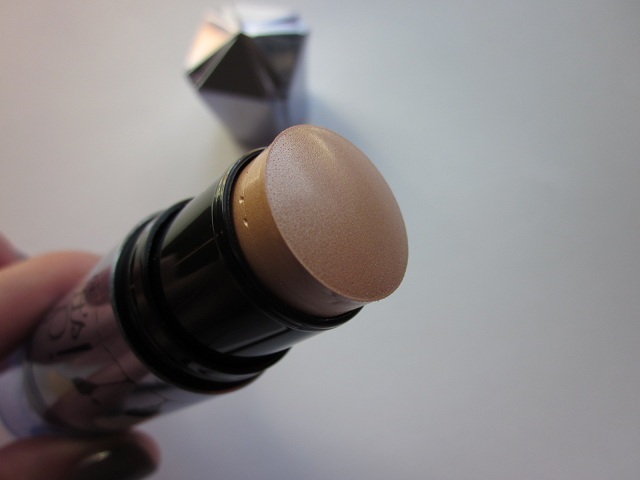 In my opinion, the performance of this foundation was mediocre and didn’t really “wow” me in any way. Also, the heavy feeling on my face didn’t really have a “traceless” effect either — so I find it strange that this foundation is called “the traceless foundation.” It also didn’t help that I didn’t really get focused attention and help at the counter either. It’s a good thing I asked for a sample because I’ll be throwing it away anyway. I may re-visit this issue and try “Alabaster” and see if a better color match will make me feel better. There’s different kind of foundation formulas out there and it’s important to find the one that works for your skin tone, your skin type, and your personal concerns/needs. 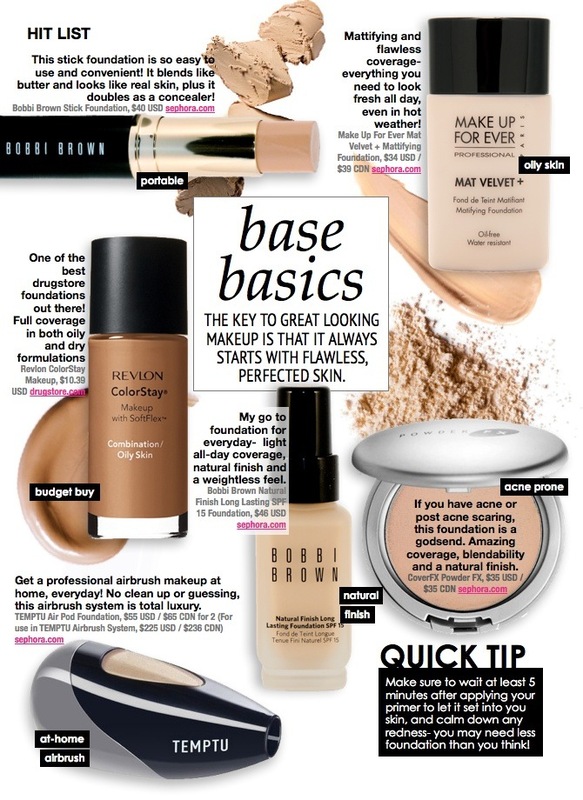 I’ve included this magazine excerpt for those who are on the hunt for the perfect foundation. Please remember that the brand nor the price will all of sudden give you perfect skin. I was mainly disappointed with the Tom Ford foundation because I had high expectation because of the brand and price. However, it just sat on my skin and did nothing. For me, I don’t have a lot skincare concerns and I require very little coverage anyway; so, when I notice a foundation not performing, it’s a big red flag for me. My other complaint is the poor customer service. I’ve always been physically matched to a shade at a counter, with the sales associate actually applying the product on my skin. This was the first time someone just eye-balled my potential shade. Meh. 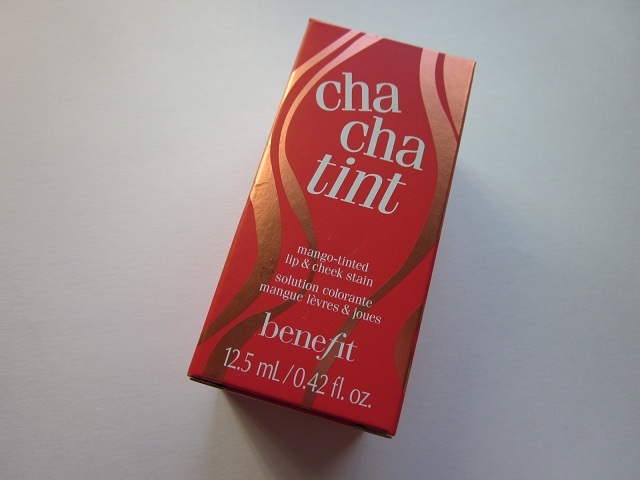 I got the Benefit Cha Cha Tint as a gift and was thrilled that it could be the perfect color for spring. 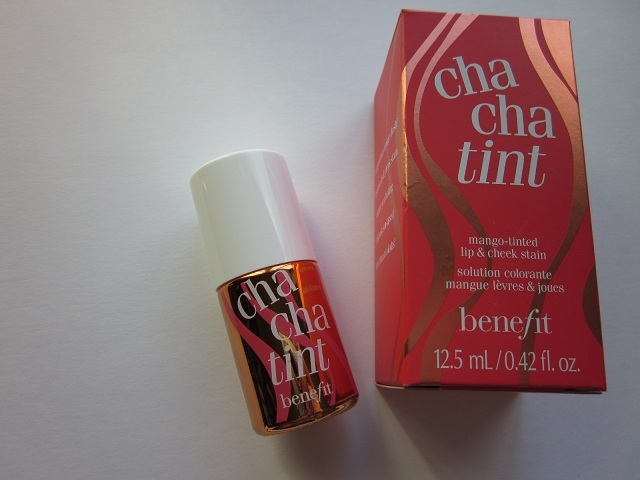 Described as a “mango-tinted lip and cheek stain,” I was excited because I don’t have anything like this in my collection. The color is gorgeous and extremely tempting. 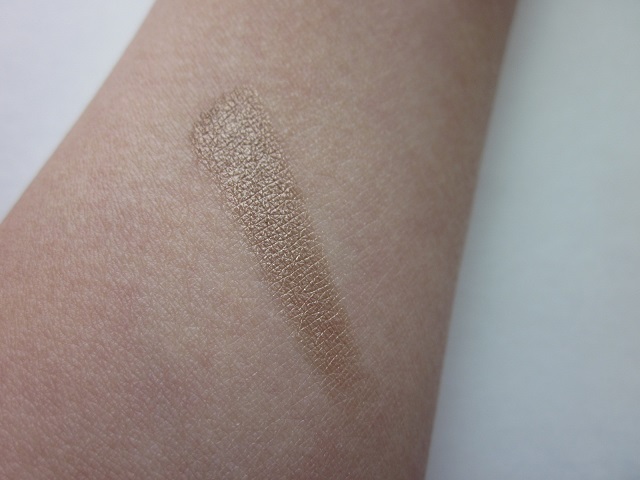 The consistency of the product is very ‘fluidy’ and moves well on the skin. It dries super quick; so, instead of swiping a stroke of color on each cheek before blending — it’s better to swipe and blend; then, swipe and blend on the other cheek. I noticed that if I don’t do it like this, the blob of color will begin to dry and it won’t blend out since the product acts as a stain. 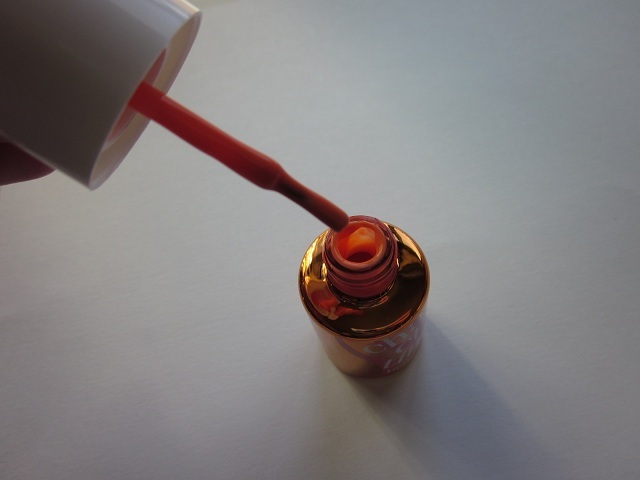 The nail polish-like applicator is somewhat practical, but it’s inconvenient at times. I wonder if it would’ve been better for it to be in some kind of squirt bottle. Product portion control is difficult because the texture of the product is so runny. For me, it’s better to apply the blob onto my index finger, then apply it directly onto my cheek. I blend vigorously and quickly to spread out the color and I have to work with it quickly before it dries completely. I’ve applied it also with a buffing brush as well. Because it stains the skin so quickly, I like to apply the product directly onto the bristles of my brush; and, then I apply the product from my brush to my cheek area. The stain is such a pretty color and it truly does last all day. Unfortunately, I find the product annoying at times because of the application. You have to really practice with the product to get to look right. My other complaint is that I end up blending away my base — foundation and concealer — when I apply this product. Meh. Because of this, I can’t say that this product is worth the price. It’s difficult to work with and I tend to overlook it because I’m not in the mood for inconsistency in the mornings. Would I recommend this product? Not really. Quite frankly, it’s just easier to use a powder blush. In fact, working with a cream blush is easier because at least the texture of it is easy to work with; and, to set it, you just dust on some powder. With such a liquidy product like this, it’s all trial and error. While the color is pretty and I love it when it’s applied correctly, sometimes I look blotchy in the sunlight and that annoys me, lol. P.S. I suggest purchasing those sample sets Benefit is so good at selling. You get a smaller amount product (obviously) but you also get other goodies in those sets as well. Plus, a little goes a long way with these kinds of products, so it will be better use of money and it’s more practical! I hope everyone’s weekend was great; mine was pleasant — quiet and I totally enjoyed the cool, breezy weather that tends to be quite rare here in Texas. For the weekend, I wasn’t inspired nor was I motivated to be creative or experiment. I focused on skin and managed to slap on some eyeshadow for dinner. 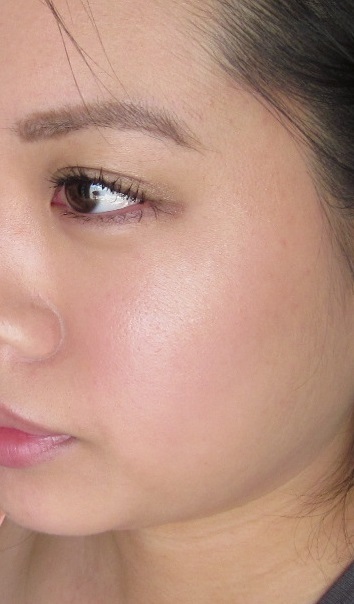 I wanted to emphasize glowy, dewy skin that was effortless and looked natural. I started off with the Neutrogena Healthy Defense moisturizer with SPF 50. It absorbs decently well and provides high sun protection. It’s nothing special and tends to get a bit oily on me, but it works for lazy days and on days when I’m not exposed to too much sun. With this, I can skip an extra layer of sunscreen so it’s a handy option to have. 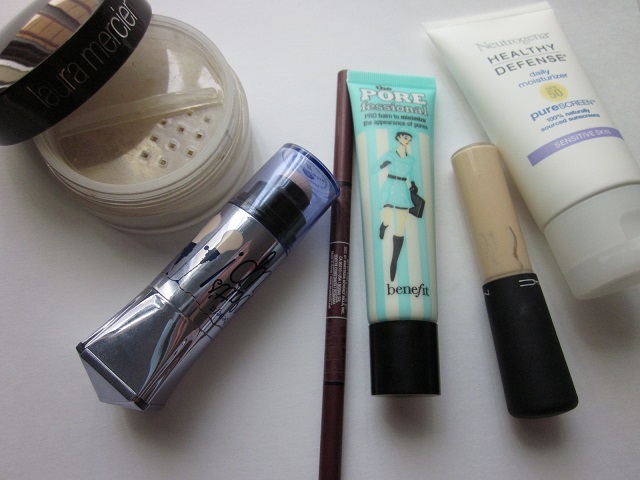 Then, I applied Benefit’s POREfessional as my primer on my nose, chin, and a little bit on my cheeks for pore concealing. Because I’ve skipped an application of foundation or BB cream, I had to rely on a concealer that was going to work double duty: MAC Mineralize Concealer is a good option for me because it’s so blendable and provides semi-opaque coverage. 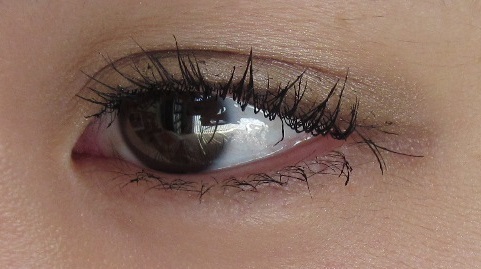 On top, as my final “layer,” I dusted on Laura Mercier’s Mineral Powder in “Soft Porcelain” lightly with a fluffy brush. I skipped blush entirely out of being just plain lazy, so packed on some highlighter to give me that glow. 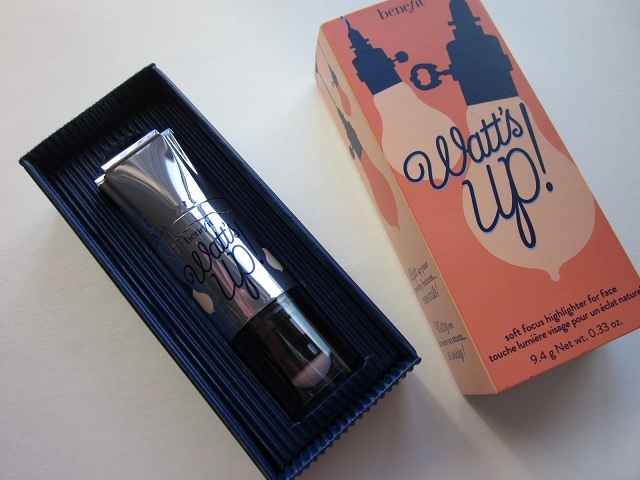 I picked Benefit’s Watt’s Up! highlighter for the tops of my cheek bones and nose bridge. This is super blendable and isn’t a hassle to apply. I just used my fingers since I was too lazy to grab a brush, lol. I’ve been trying out the Anastasia Brow Wiz in “Brunette.” I can’t say that it’s anything special or new, because to me, a brow pencil is a brow pencil. It’s really all about the color. Since I’ve been in the process of re-growing my eyebrows, this pencil has been great with filling in some sparse areas. However, I still think a brow powder is the best way to go. This week, I’ve noticed that Benefit has released some new products. 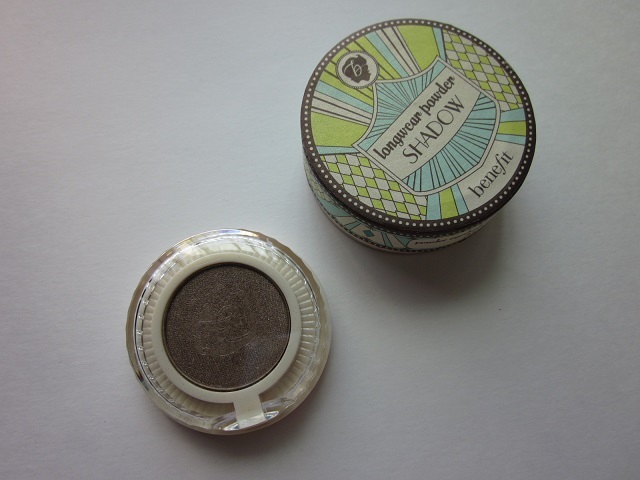 However, I was most drawn to the Longwear Powder Shadows and couldn’t resist. And, as usual, I stuck with a safe, neutral color to try out. I’m still on my Benefit kick and am bordering obsessiveness, so I’m trying to exhibit self control as much as possible. I’m not going to lie, but longwear eyeshadows are important to me because I don’t use an eyelid primer. I don’t even layer a matching cream shadow underneath, and I just hope that my eye cream, a little foundation, and some powder will help the eyeshadow stay in place. I suppose it helps that my eyelids aren’t oily, and it appears that transferring doesn’t occur for me – luckily. However, this doesn’t mean that my eyeshadow is flawless at all times by any means. Hence, the importance of longwear products. Benefit’s marketing is eye-catching and I love the packaging of this eyeshadow. Although the product range was released with corresponding cream shadows (that are also long lasting) in various shades, I felt less committed to purchasing more shades since I felt the need to test-drive this shadow first. The packaging is cute, the name of the product is cuter, and I like their new formula. Sephora’s website states that this product is a “powder eye shadow that lasts.” The long-wearing formula is “soft and silky” and comes in “12 wearable shades and three finishes: matte, satin, and sheen.” It’s designed to be used in conjunction with the creaseless cream shadow for extra staying power. The formula is smooth and feels very light. Pigmentation seems good on all the colors in this range, except for the skintone, shimmery colors. “Thanks A Latte” is a golden brown that is lighter than it looks in the pan. 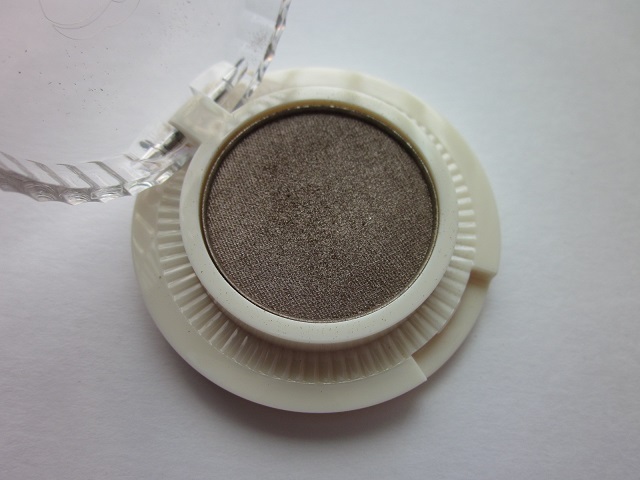 It’s not a unique and original color by any means, but can be a great treasure for other neutral eyeshadow fiends out there. 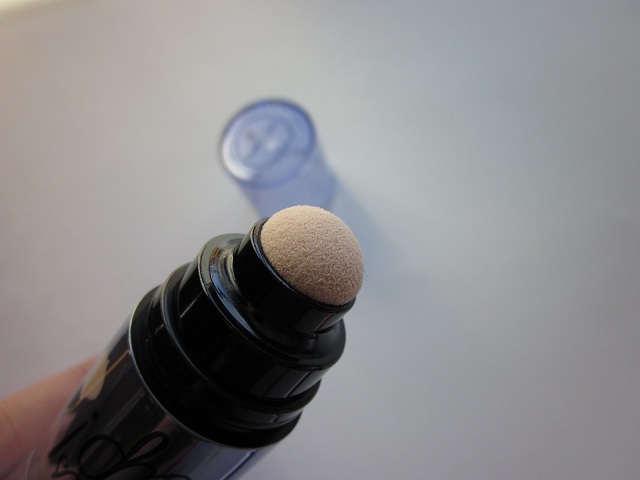 The texture of the powder is light and blends like a cream on contact. 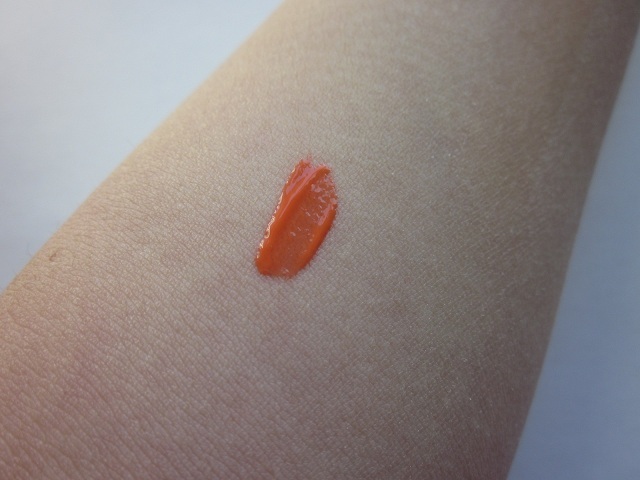 Once swatched, it doesn’t rub off easily — which is pretty good since the product claims to be “longwear.” I’ve noticed that you can build up the intensity of the shade by layering. Pigmentation is good and the lasting power is good, too. It’s best to use the blending brush like the MAC 217 to apply AND blend this color. I use “Thanks A Latte” as a base, all-over color before adding a darker color for definition in the crease. The color is light, and once applied and blended, provides a golden-brown sheen that is natural and pretty. 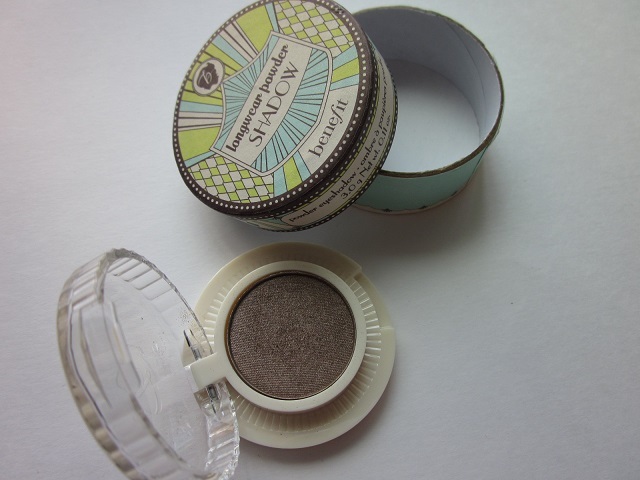 I like this eyeshadow but I probably won’t go out of my way to purchase more from the range. The colors available are pretty standard and since there’s so many option these days, I wouldn’t say that this is a necessity. The color, however, is pretty and I really like using it on natural-makeup days. While it wasn’t anything mind-blowing, I still really like the shade. If you’re looking to expand your neutral collection, I’d recommend this color. If you’re a fan of Benefit products in general, then I’d recommend checking out the new eyeshadow range. 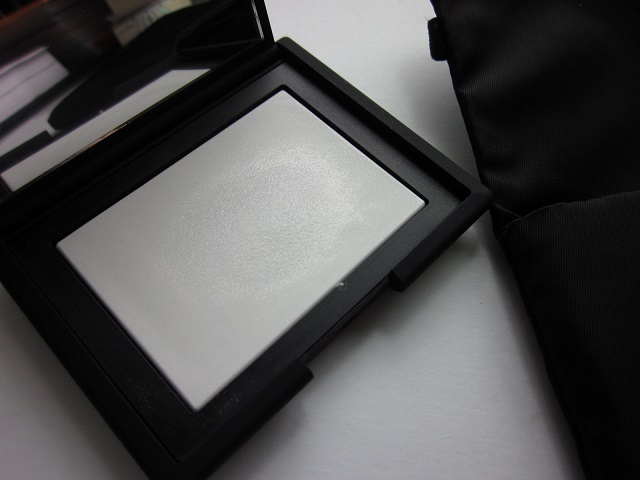 I wanted to take a moment to rave about my new powder purchase: the NARS Light Reflecting Pressed Setting Powder. 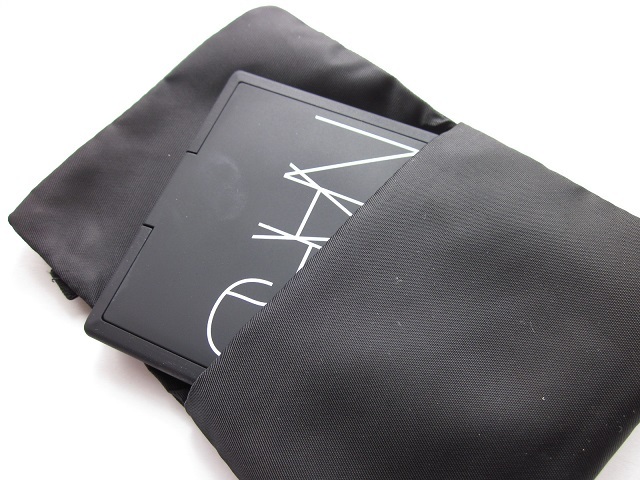 Previously, I wrote about the Hourglass Ambient Lighting Powder in “Diffused Light.” The NARS powder has similar effects and performs similarly in terms of erasing imperfections and giving the skin a poreless look, BUT the final effect on the skin is entirely different. My skin absolutely feels velvety soft after I use this, and it doesn’t hurt that it gives the slightest luminescent glow to the skin. As for oil control, I can’t really say since I’m always going to be oily by the end of the day no matter what product I use. However, it looks that despite oil production, my makeup is intact. The texture of the powder is so light, it’s hard to tell you’ve got any product on the brush; it feels like nothing and it looks like nothing. Nonetheless, I swirl my brush around and apply my invisble powder to my ski — and, it’s like magic. No joke. This powder isn’t drying, yet it keeps the skin smooth and poreless — everything is blurred — imperfections, lines, bumps, pores, oil, etc. Makeup really does last all day and I love how smooth it makes my skin feel and look. Although there aren’t any high claims about creating the perfect lighting, it’s a great setting powder to use to give your skin some extra oomph. Normally, as a person who doesn’t really like setting powders, I’d say give this a go and I recommend it to everyone, no matter what skin tone you are. 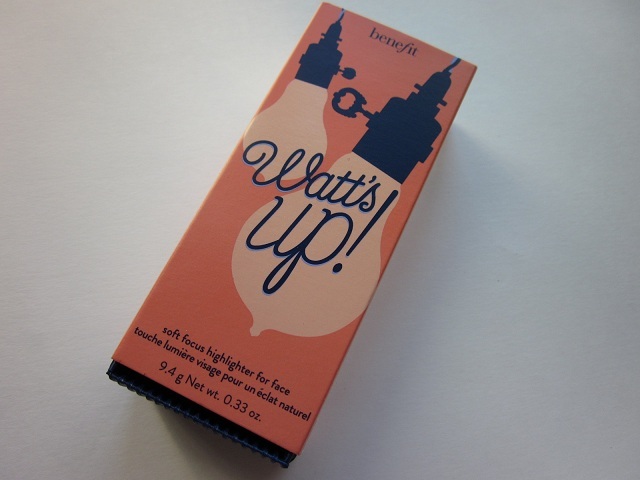 Currently, my highlighter of choice is the Benefit Watt’s Up! Highlighter and I’m totally thrilled to be writing about it. 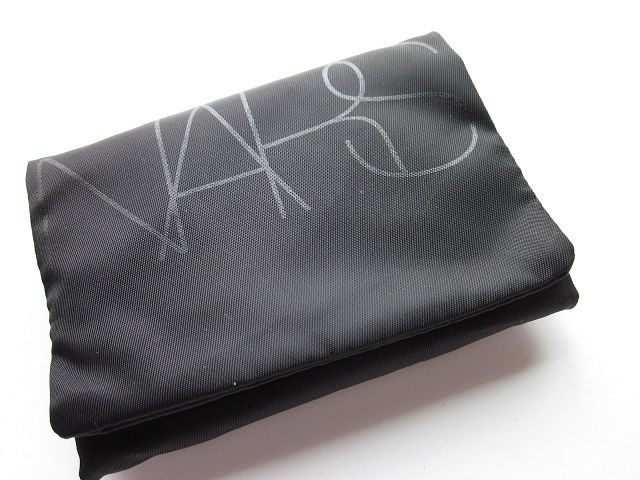 Previously, I had raved about the NARS The Multiple in “Luxor” — and, while that’s still another favorite of mine, Watt’s Up! is a champagne color that’s golden and pretty. I’d say you need both, but the Watt’s Up! will be more natural color-wise (because it runs more beige-y rather than pink). Benefit’s Watt’s Up! is described as a “soft-focus highlighter for [the] face.” The luminous champagne color is a golden, skintone-flattering shade that is pearly and shimmery, without having chunks of glitter in it. The texture of the product is smooth and buttery soft, and melts into the skin on contact and has a powdery finish. I like to add this on my cheeks and sometimes my eyelids — depending on my mood. But, most of all, I like it because it highlights the face with luminosity and glowy-ness. My main, personal dislike is the packaging of the product. I don’t mind cutesy packaging and I probably wouldn’t have cared about it if the lid was more secure. It doesn’t snap on tightly and has come off on more than one occasion in my makeup bag, which totally irritates me. The sponge-tipped applicator is completely useless, and if anything, I’d imagine it would wipe away whatever you’ve applied underneath. I apply this product with my fingers or with a brush. It’s easy to blend and very forgiving in all lighting. Sephora describes this product as a “cream-to-powder highlighter” that “turns up the wattage with a delicate, gorgeous champagne glow. Its smooth application and luminous sheen switches on the ‘wow’ factor for any complexion. Apply it to cheeks and browbones, then sculpt with the soft-glow blender for your perfect gleam.” A little goes a long way with this product. 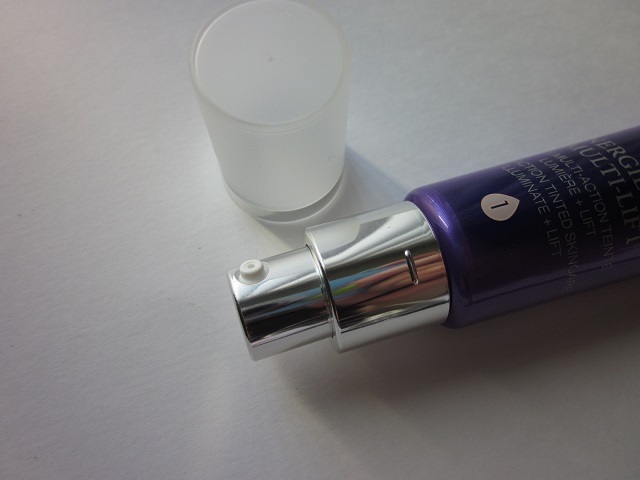 Recently at an outlet sale, I purchased the Lancome RÉNERGIE ÉCLAT MULTI-LIFT Multi-Action Tinted Skincare Illuminate + Lift Instant Enhancer for $25 and it was such a steal. I was always interested in this product some time ago, but felt that $75.00 (regular retail price) for it was ridiculous for a product that wasn’t even a foundation. I’m quite pleased with this product and I’ll probably go back and get one for my mom. Keep in mind, technically, I can’t review this product on its lifting and anti-aging performance — although that’s what the product is designed to do. But I do believe that the skincare ingredients in this product has done wonders for my skin — in terms of “preventative measures” regarding anti-aging. I like the pump and the overall packaging. It comes with 1.3 fl. oz. 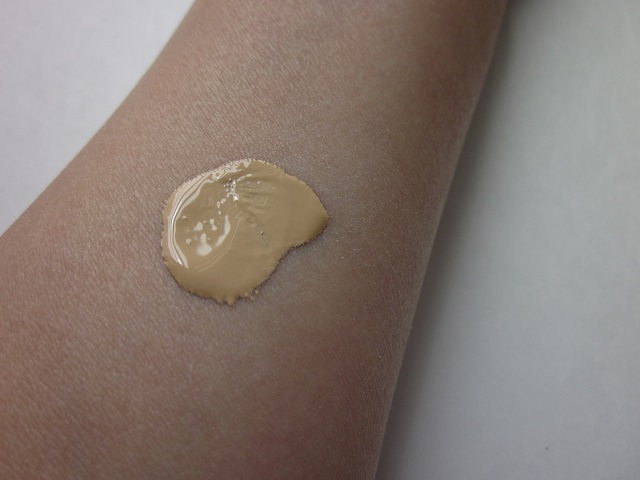 of product, which is more than a standard foundation. 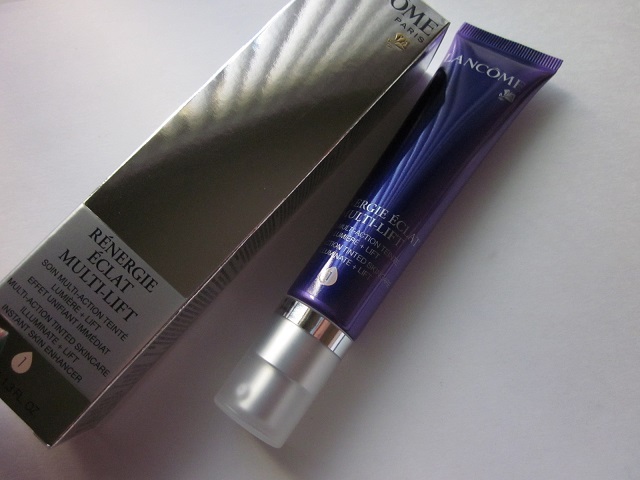 I’ve also reviewed the Lancome RÉNERGIE EYE MULTIPLE ACTION Ultimate Eye Care Duo, which is still performing well. In my experience, the RÉNERGIE line seems to be very effective. The texture of the product is really slick and smooth. Because of that, it blends seamlessly into the skin very quickly. I can feel my skin drinking up the hydrating ingredients, because it plumps up my skin and makes it look so smooth and radiant. Pores, redness, and lines are concealed immediately and feels nice too. However, there’s no actual coverage — just mild blurring of the imperfections. In my opinion, if you need/like more coverage, it’s probably best to use this product as a primer and layer something on top. I got shade 1, which is the lightest shade that seems to work well for my skintone. The shade is very forgiving because it doesn’t seem to actually have that much pigmentation — hence, the lack of coverage. The one thing that I must rave about is the brightening effects of this product. It’s so pretty and it looks just like your skin, but better. I’d say this is more like a “skin enhancer” and I think it would look just as pretty underneath a base product that provides more coverage. 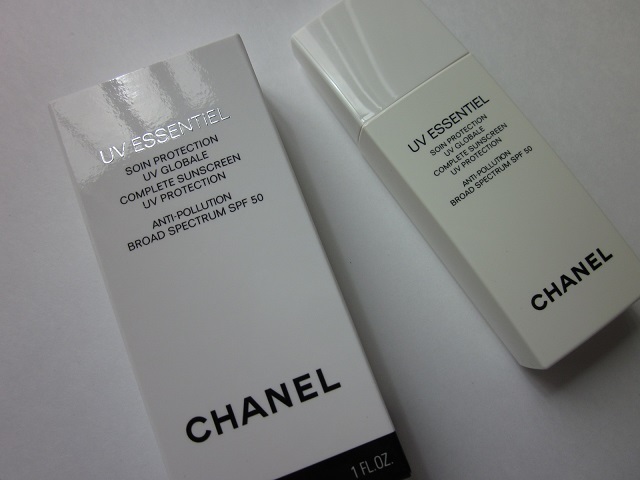 Also, unlike most BB creams and tinted moisturizer, this product does not include any sun protection. I would recommend this product based on its illuminating and brightening factors, but don’t say I didn’t warn you about the coverage. I think the original retail price of $75.00 is ridiculous; and, the outlet price is only slightly better. If you can hit up the sale, you can snag this for $25, which I think is completely reasonable. I’m going to see how my mom likes it, but I’ll most likely not re-purchase this again unless it’s on sale. 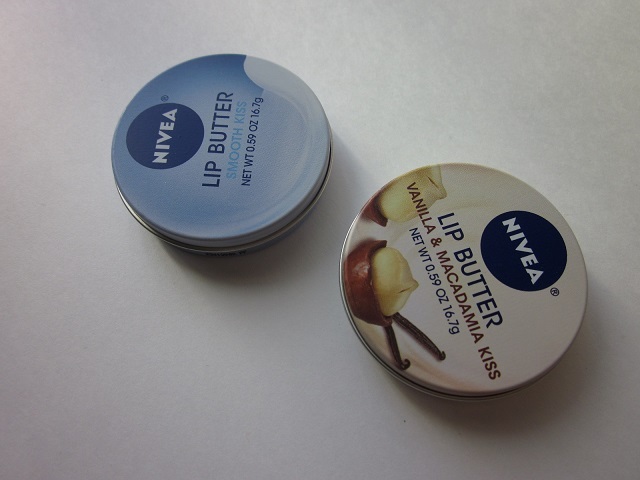 I must recommend the Nivea Lip Butter products right away. If you remember, I wrote about high-end lip care products in the past — mainly, they were just fancy chapstick. Recently, my friend took the plunge and purchased the La Mer lip balm for $50 and now she completely swears by it. Then, I stumbled upon reviews about the Nivea Lip Care Lip Butters; and, I’d have to say, that for $3.99 a piece — it’s the best thing ever. Yes. I picked up two tins at CVS. I’ve also seen them at Target, but not at Walgreens or Ulta. These are great to wear before bedtime and underneath other lip products. I like to wear them alone most days and my lips haven’t been complaining. 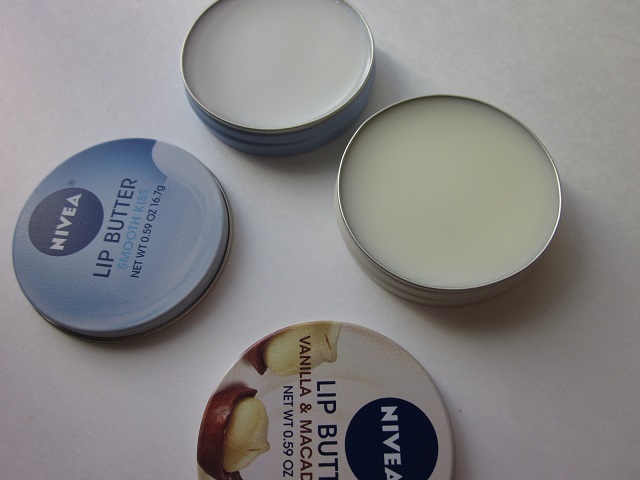 The tins are really thin, but a little bit of the product goes a long way; and, by that, I mean I can put some on in the morning and my lips are hydrated all day. Even after the product has worn off, my lips don’t feel dry or uncomfortable. Retails for about $3.99 USD. Another quick, out the door face makeup today. I’m keeping things very simple and very easy because of time and being unmotivated. Keep in mind, I still wear mascara and put on my brows along with the products as pictured above. I just don’t bother to include it in the picture/post because it’s always the same! 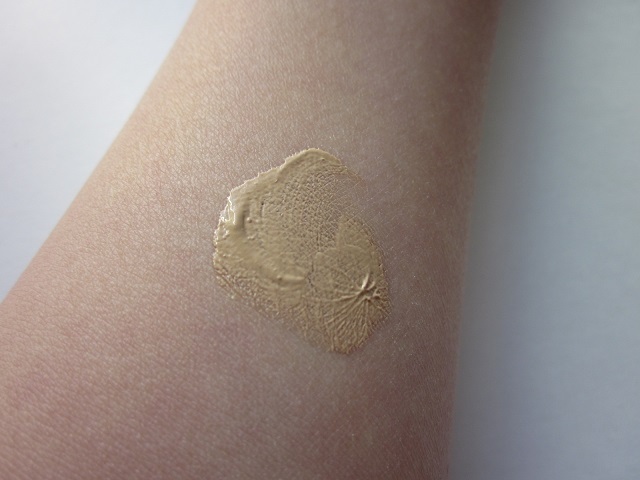 All over tinted moisturizer application:Chantecaille ‘Just Skin’ Tinted Moisturizer in “Bliss” for an easy way of evening out the skin tone and brightening it up in a natural, dewy way. No concealer is necessary today. 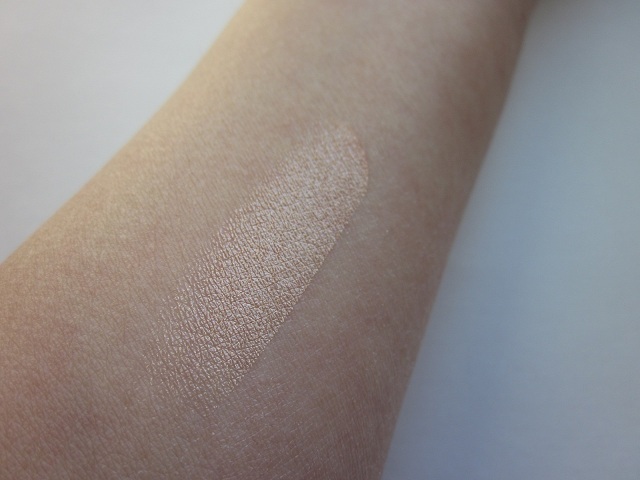 Highlighter of choice today, because I really need a pick-me-up: NARS The Multiple in “Luxor”. 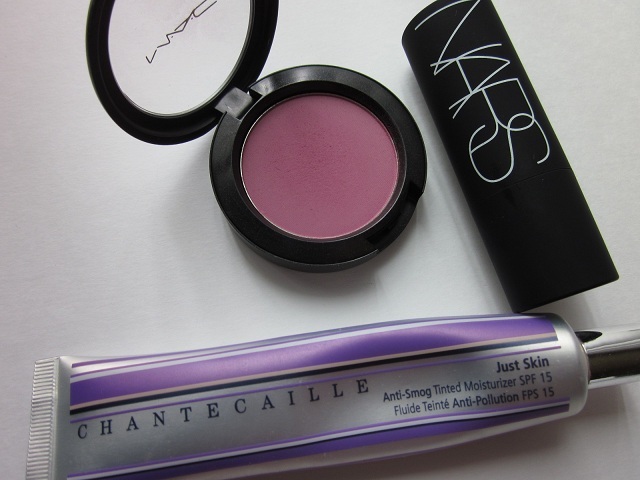 Blush: MAC’s “Coygirl” is new and something I’m trying out. “Well Dressed” will always be my favorite, but I like how “Coygirl” has a harder pink tone to it — almost reddish, but mimics a flushed shade beautifully. I’m fair so I have to use a light hand with this.